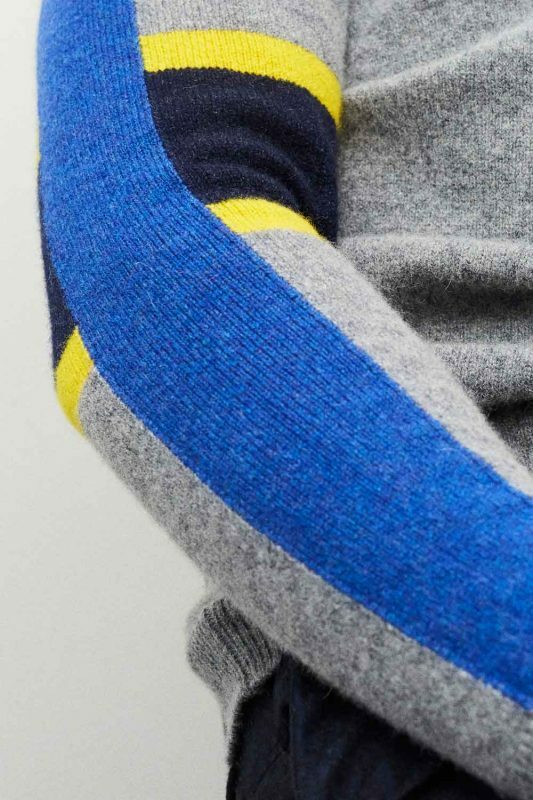 The Liam lambswool jumper is a sartorial must have for every wardrobe. 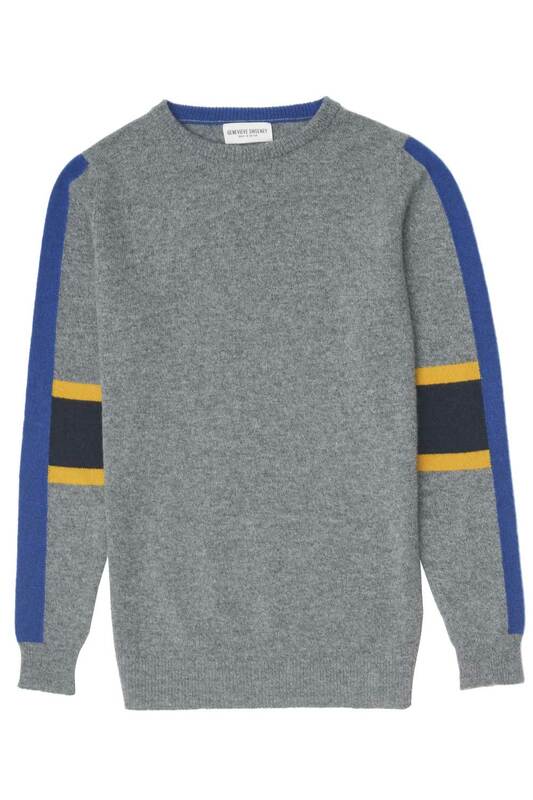 A contrasting vertical colour block creates an unexpected modern statement to the soft lambswool grey jumper. Crafted in a traditional hand intarsia technique by a skilled knitter in the Scottish Borders. The Liam jumper is spun from 100% lambswool in one of the UK’s oldest mills. Located in the heart of the Yorkshire Dales, this traditional mill has been family owned for over 250 years. Using traditional techniques and machinery, the mill creates exquisite custom colour blends. Personalise your Liam jumper with up to three initials.